This one, I was sad to see. Harvey Pekar, underground comic writer: Dead. I, like many, came to be aware of Pekar after watching the movie American Splendor, named after the comic for which Pekar became famous. It's a great movie starring Paul Giamatti, and I highly recommend it. Senator and former Klan member Robert Byrd: Dead. Did it strike you as odd, Obama delivering the eulogy? It did me. I couldn't decide is it was some marvelous irony or something sinister. I mean, a lesser ranking head of state than Obama would have done - with no offense. Yet somehow we had to be presented with this image of our first black president laying our most famous Klansman to rest, with honor. i didn't know obama had done so. i knew clinton spoke, but not obama. what can i say: byrd eventually came around to support hard left positions nationally as did his party, so all was forgiven. The Stargazer. 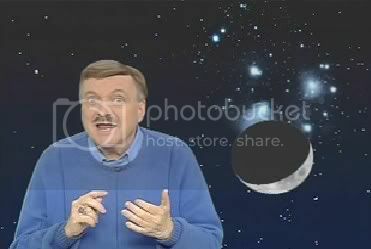 I always loved his short little 5 minute astronomy shows on late night TV. I haven't seen this guy in years. He sure was a trip in both style and content. Yeah, loved this guy's program. anybody see michael douglas has stage IV cancer? i fear he might soon be added to this list. Comedian Bob Schimmell....a frequent guest on late night shows and Howard Stern. Died in a car accident at 60. Glen Shadix - Played Otho in the movie Beetlejuice - Dead. Fell and hit his head. Kevin McCarthy. Invasion of the Body Snatchers (1956). What? No really bad monster costumes? No. Just regular people who woke up...different. And some really creepy space pod things. Great flick. Adios amigo. James E. Winner Jr., 81 - Inventor of "The Club" - Automobile accident. Yup, killed by the very machine he made millions protecting. Eddie Fisher. 82. Dead. Complications from hip surgery. i know absolutely nothing about this guy aside from the fact that he was a singer who left his wife in order to start banging elizabeth taylor... and the only reason i know THAT is because my grandmother mentioned it to me today. soooo... he's dead. Mike Edwards. 62. Original cellist for one of the greatest bands ever, Electric Light Orchestra. Dead. Killed when giant hay bail tumbled down a hill and crashed into his van. Killed by the very, oh whatever. I had a joke but it's not even worth it. Drove a Segway right into the river. I'm going to call it a Segway assisted suicide, but they are calling it an accident. but steve jobs said the segway was going to change the world, maaaaaaaaan! close but no cigar. steve WOZNIAK said that. the other Apple founder. Given all the hype and promotion, including everything from sci-fi speculation that it might be a “teleportation device” to computer wiz Steve Jobs declaring this intervention would be as big as the personal computer and the Internet, the debut seemed anti-climactic. i'm finding similar statements about jobs' early celebrations of the machine everywhere. he apparently said it in 2001. As big a deal as the PC, said Steve Jobs; maybe bigger than the Internet, said John Doerr, the venture capitalist behind Netscape, Amazon.com and now Ginger. ok. he MAY have said that. BUT ... given Steve Wozniak organized a Segway polo league I'm inclined to think that the Segfail enthusiasm might have erroneously been attributed to Jobs when Woz said it. but i may be wrong. wow! i thought tony curtis had died a long time ago. Comedian Greg Giraldo - 44 - Prescription Drug Overdose - Family "pulled the plug." Ted Sorensen - 82 - Stroke - Speechwriter for and advisor to President Kennedy - October 31, 2010. I'm surprised I didn't catch this one. i think of a celebrity as being anyone who is well known. heh heh, i guess my criteria are rather simple, but i definitely would classify sorensen as such.